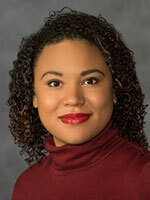 Leah Small is a public relations specialist representing the School of Medicine, School of Dentistry, School of Nursing, School of Pharmacy and the College of Allied Health Professions. She joined the University Public Affairs staff in November 2016 as a science and research writer, covering the university’s extensive research enterprise including studies and trends in the humanities, sciences, health, business, arts and other disciplines. Leah previously worked as a reporter at Style Weekly magazine and The Progress-Index. She covered state and local government, a major military installation, public and private universities, business and other news in Central Virginia. Leah earned bachelor’s degrees in journalism and international studies from VCU in 2012.